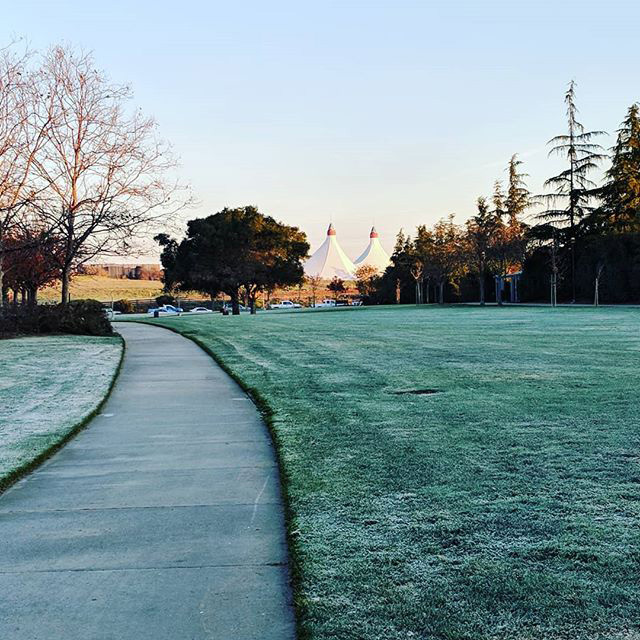 Louis Gray shared this photo on Instagram and wrote "Frosted morning pathway. Back at Charleston Park, but early morning this time. Grass lightly tipped with frost. A brisk 35." 35 degrees in Mountain View, California does not happen every day.